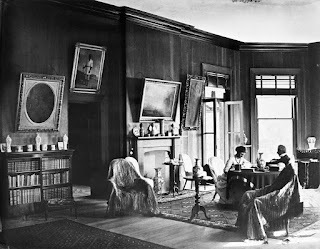 Julia was born at Grey’s residence on Kawau Island (now known as the Mansion House) in 1874. 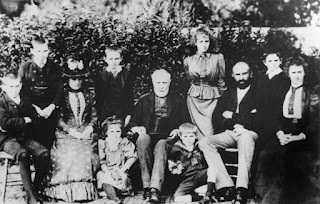 She lived on the island until Sir George sold his holdings there in 1888 and he and the Thorne Georges moved together to Parnell. Grey seems to have long harboured a desire to spend his last years in London. The Thorne Georges were startled, however, when he sailed abruptly for England in May 1894 without saying goodbye or informing them of his plans. They expected him to return to New Zealand for Julia’s wedding and were disappointed when he did not. He died in a London hotel in September 1898. 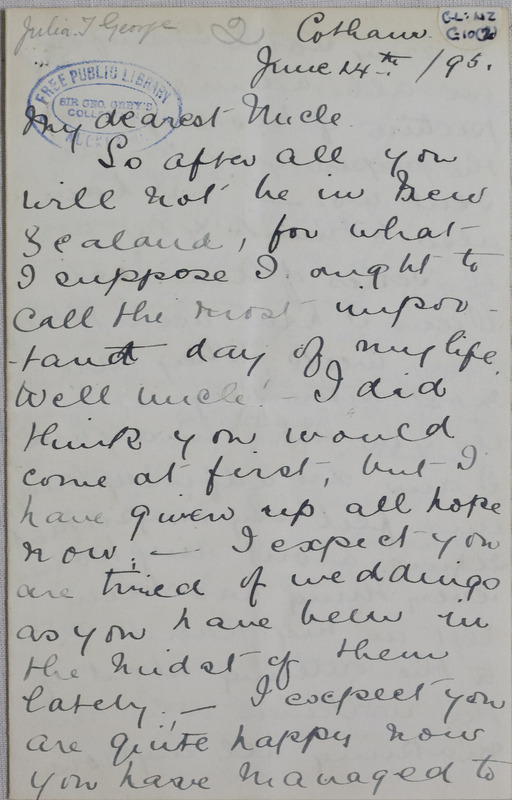 Ref: Julia Thorne George, Letter to Sir George Grey, 14 June 1895, Sir George Grey Special Collections, Auckland Libraries, GLNZ G10.2. 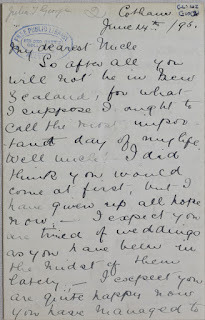 “I expect you are tired of weddings as you have been in the midst of them lately,” Julia says to Sir George –a little caustically – in her letter of 14 June 1895. He had attended the wedding of his kinsman William Grey, 9th Earl of Stamford, to Elizabeth Penelope Theobald on 18 April at St George’s, Hanover Square. Julia’s affection for Sir George ran too deep, however, for her annoyance to develop into a permanent rift. She named her eldest son Grey Colbeck in tribute to Sir George. Ref: Group portrait of Sir George Grey with the Thorne George family, Sir George Grey Special Collections, Auckland Libraries, 530-1. 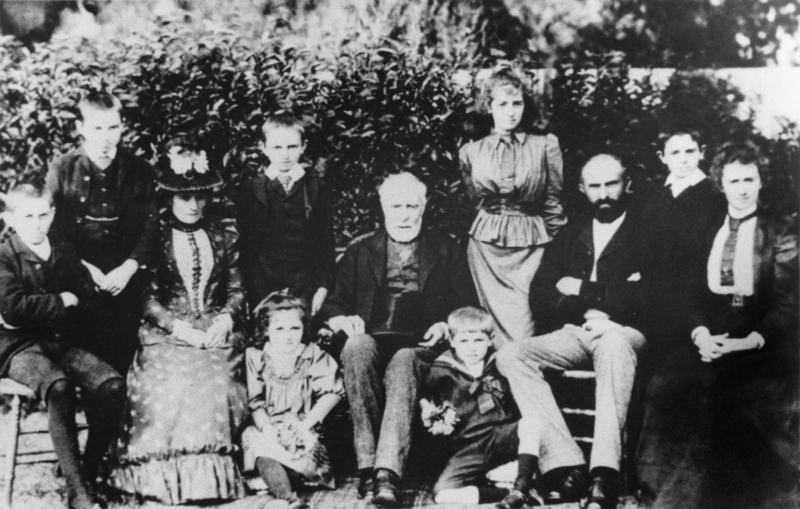 Sir George is easily recognisable as the central figure in the family photograph taken in Parnell in the early 1890s. The other bearded gentleman is Seymour Thorne George. Grey’s niece, Annie, is seated third from left. Julia is seated at far right. The photograph was donated to the library by Julia’s second son, Dr Stuart Colbeck. lovely piece but just one small error. Sir George Grey's brother was Godfrey, not Gordon. Thanks for letting us know. We actually have the name as Godfrey in the photograph description, but that was a mistake in the text. I've changed it now. I am writing a book on the Thomas family of Wenvoe Castle and would like a member of the Thorne-George family to contact me about Annie Matthews, Godfrey Thomas's daughter.